The best penny stocks have two qualities: They deliver triple- or quadruple-digit returns and also have legitimate businesses. That's why we're going to show you the best way to find safe penny stocks to invest in. While many penny stocks are safe and offer triple-digit returns, some rally due to fraudulent business practices. One high-profile example is the Cynk penny stock scandal, which involved Cynk Technology Corp. (OTCMKTS: CYNK) surging from $0.06 in May 2014 to $15 in July 2014. That's an unbelievable 24,900% return in just two months. In fact, it was so unbelievable that it aroused the suspicions of the SEC, which found Cynk to be a shell company running an illegal pump-and-dump scam. The investigation led to the scam's ringleader – a stock promoter named Gregg Mulholland with a history of financial fraud – being sentenced to 12 years in jail. These types of cases have become more and more common in recent years. The SEC halted trading on more than 1,300 companies from 2012 to 2014 due to alleged penny stock fraud. 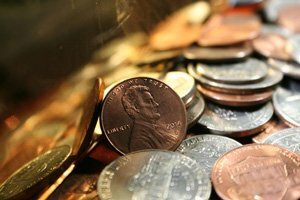 The only way to make money with penny stocks is to invest in legitimate companies, and one of the easiest ways to determine a firm's legitimacy is by looking at its 10-K filings. 10-K reports are submitted to the SEC every year and outline a company's finances. Sections of the 10-K include the company's earnings, outstanding shares, and, most importantly for penny stock research, executive compensation. This section is usually in part III of the 10-K and tells you how the company's CEO and top management are paid. The best – and safest – penny stocks have an executive compensation structure that pays either entirely or mostly in stock options. This is key, because a company whose management owns stakes in the firm is more likely to be successful in the long term. Since they own shares of the company, they want the company to be successful so their shares become more valuable. Conversely, a company whose CEO and executives are strictly paid in cash could possibly be fraudulent. If the CEO is only receiving cash compensation, there is the possibility that he or she is raking in as much money from the company as possible before it goes bankrupt. If you see cash-only compensations in the executive compensation section, consider it a big red flag. The good news is that you get a lot of useful information from 10-K filings, which tell you whether or not a company is financially stable. The bad news is that some 10-K reports are up to 100 pages and contain complicated accounting language. Money Morning Small-Cap Specialist Sid Riggs likes to do this research for our readers, which is why he consistently recommends the best small-cap stocks to buy. One of his picks from April 19 has rallied 41.9% since then, and today he's giving you another stock pick poised for gains over the next year. Sid's recommendation today operates in one of the fastest-growing markets in the world: China's auto market. The country's car sales are rising at a record pace, growing 45% from 2013 to 2016. For comparison, that beats the 12.5% and 22.9% seen in the United States and European Union, respectively.